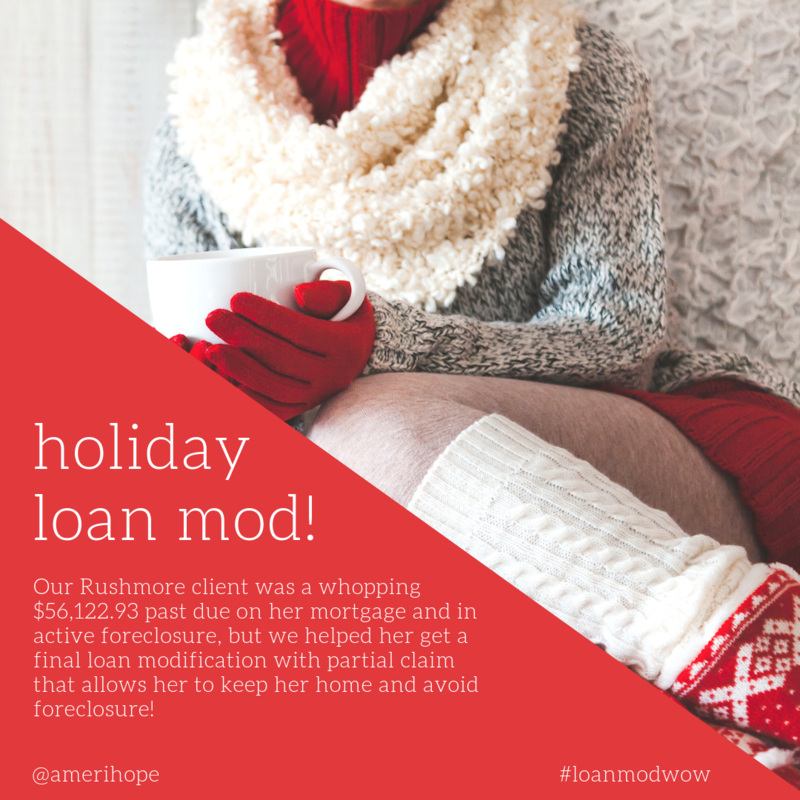 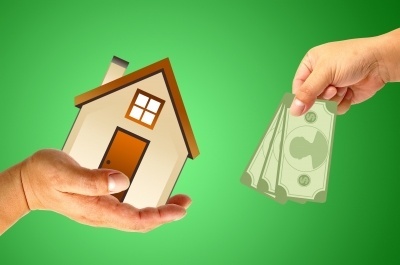 Our Rushmore client was a whopping $56,122.93 past due on her mortgage and in active foreclosure, but we helped her get a final loan modification with partial claim that allows her to keep her home and avoid foreclosure! 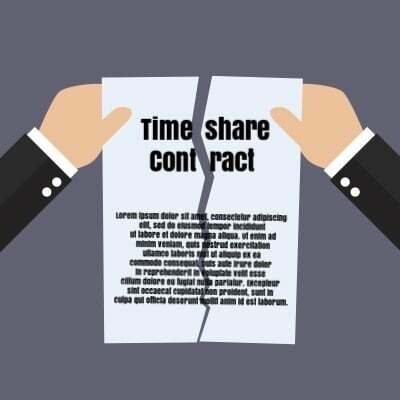 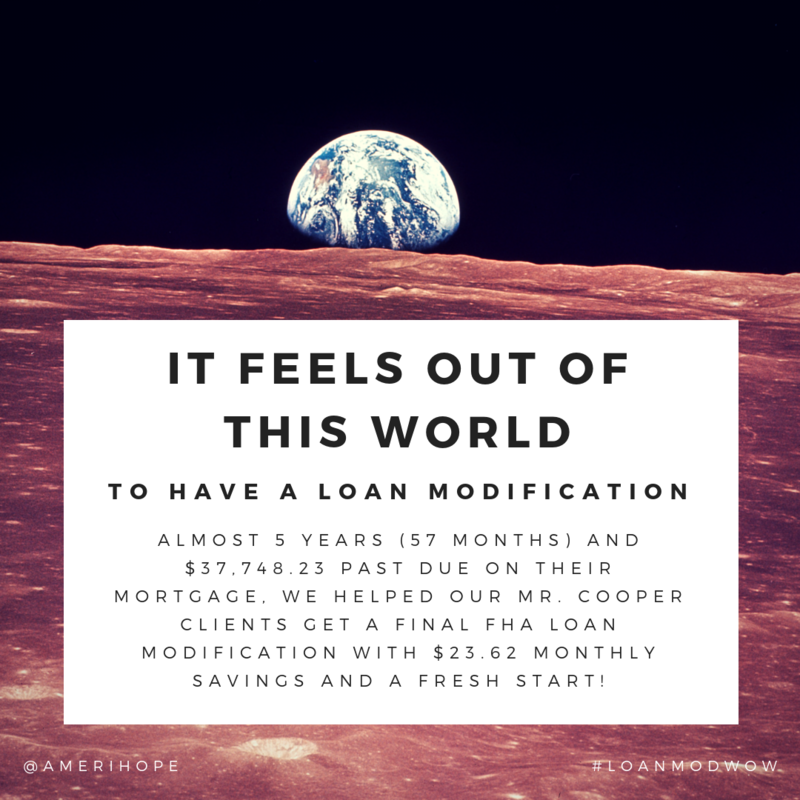 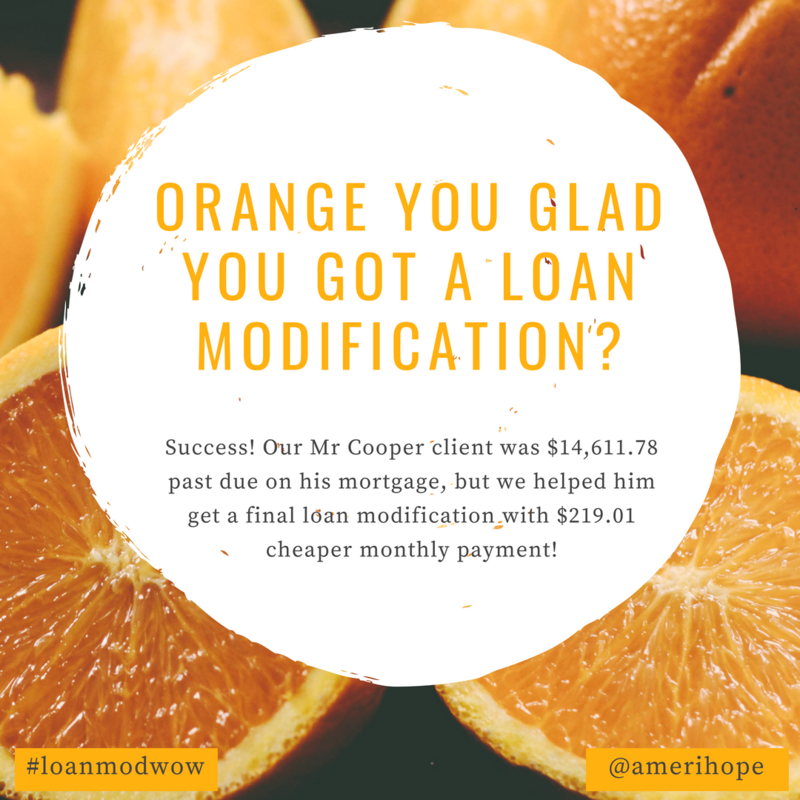 Almost 5 years (57 months) and $37,748.23 past due on their mortgage, we helped our Mr. Cooper clients get a final FHA loan modification with $23.62 monthly savings and a fresh start! 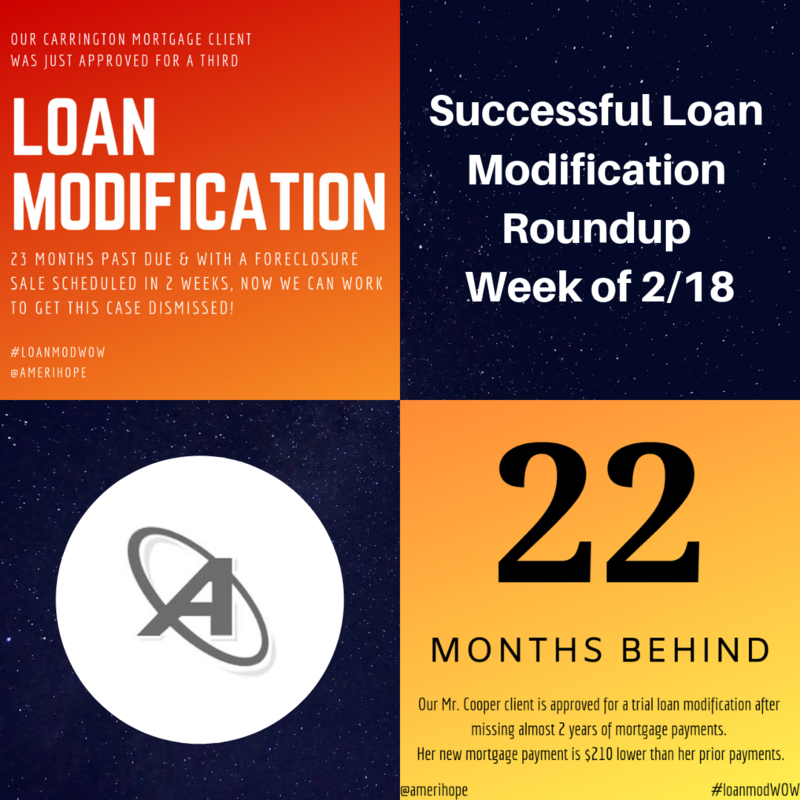 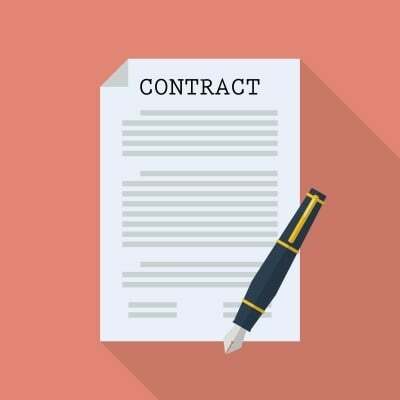 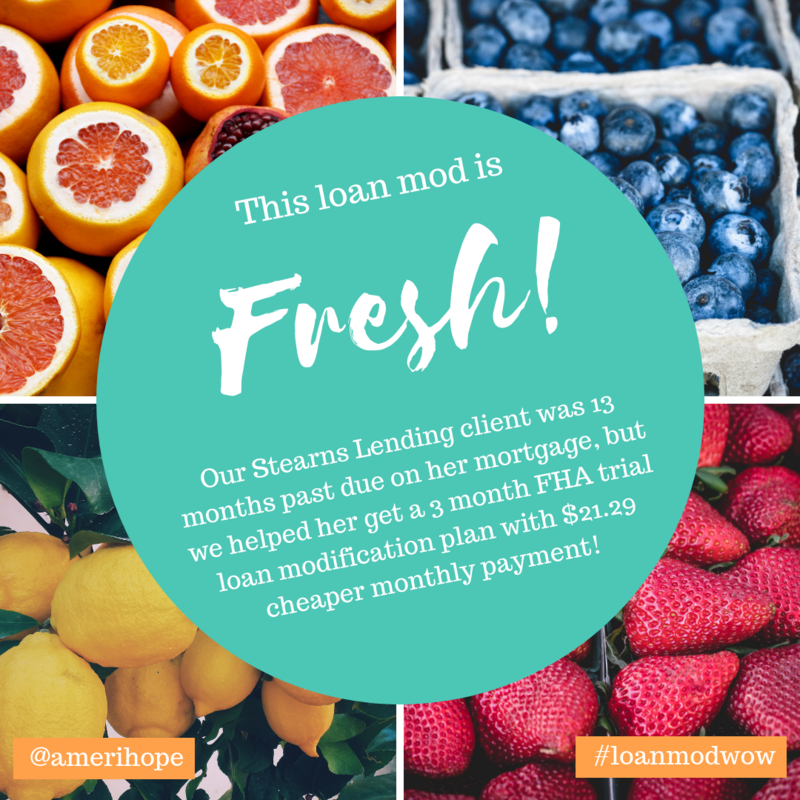 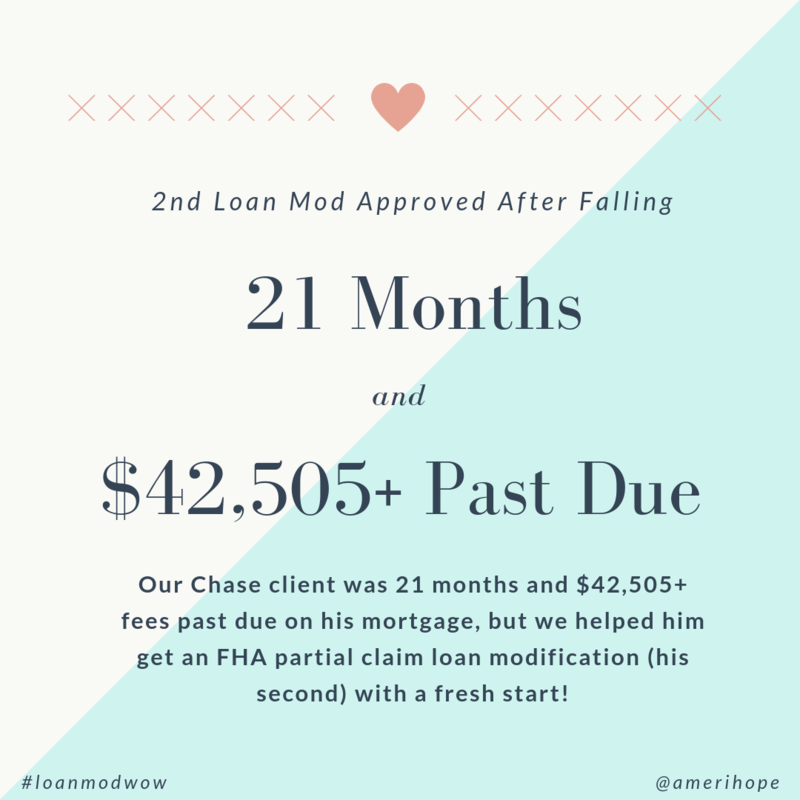 Our Stearns Lending client was 13 months past due on her mortgage, but we helped her get a 3 month FHA trial loan modification plan with $21.29 cheaper monthly payment! 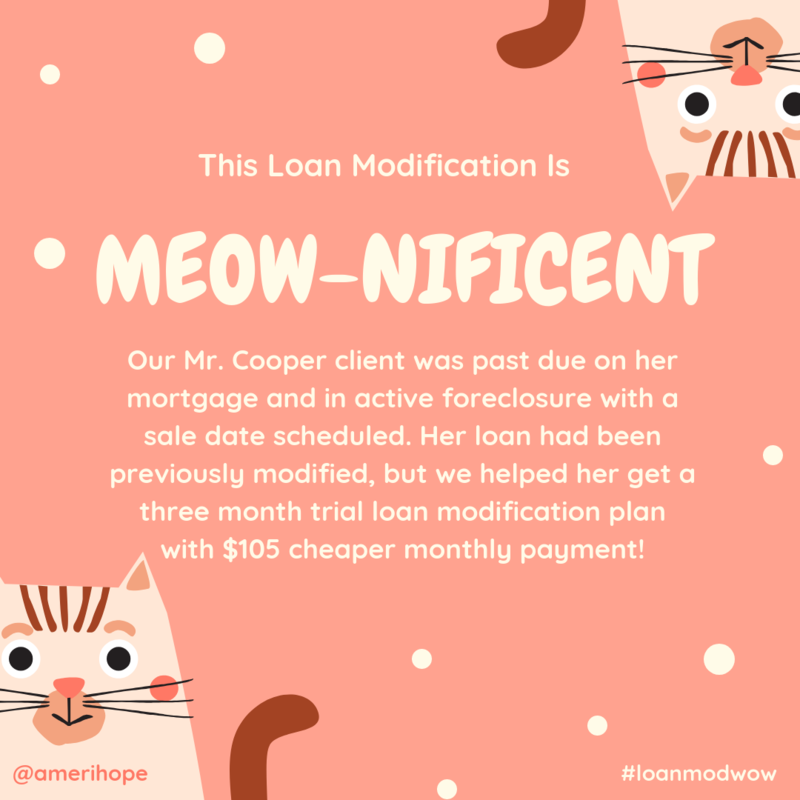 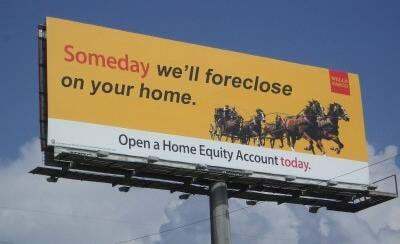 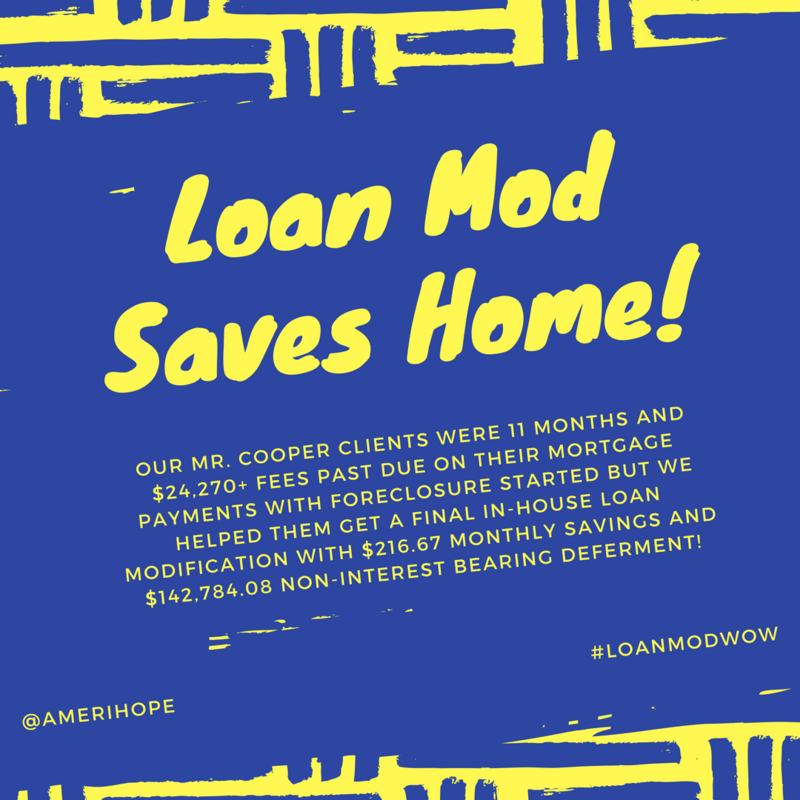 Our Mr. Cooper clients were 11 months and $24,270+ fees past due on their mortgage payments with foreclosure started but we helped them get a final in-house loan modification with $216.67 monthly savings and $142,784.08 non-interest bearing deferment! 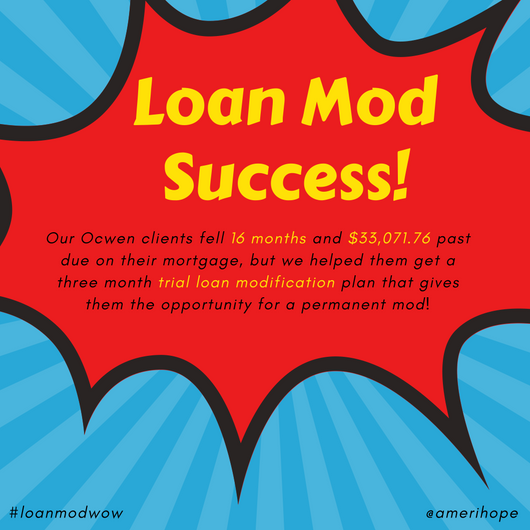 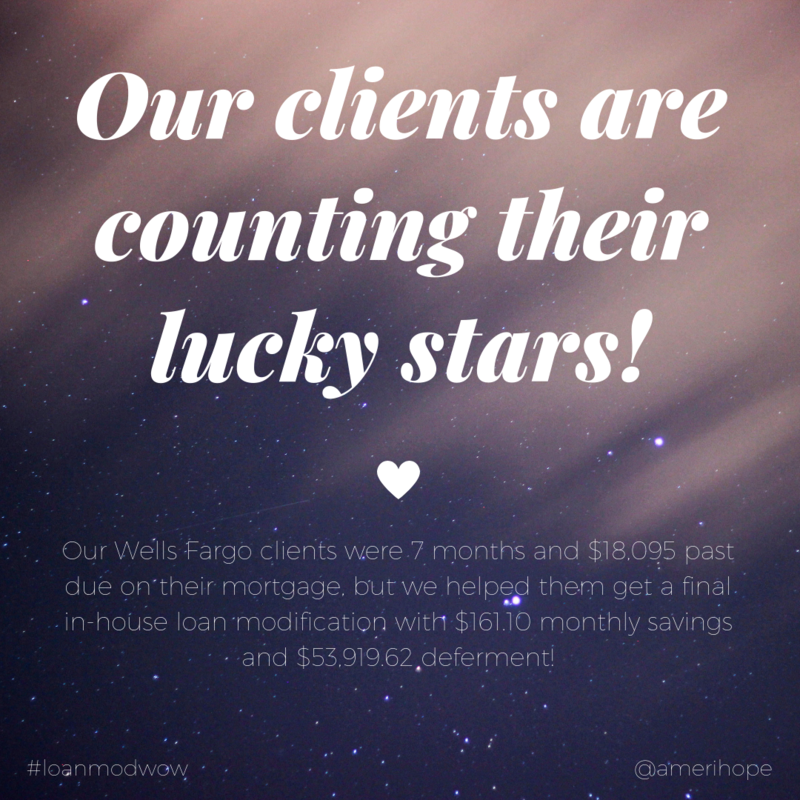 Our SLS clients were 5 months and $10,309.20 past due on their mortgage payments, but we helped them get a final loan modification with $610.70 cheaper monthly payment and $48,838.95 non-interest bearing deferment!